If you think that ‘affordable’ and ‘luxury’ are mutually exclusive terms when shopping for a car, then you had better think again. 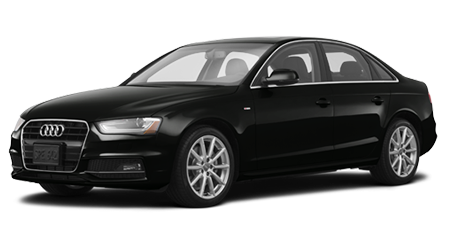 With a high quality used Audi A4, you can have refinement and luxurious amenities at a price that is comparable to — or lower than — a new, non-luxury car. Audi’s A4 makes for an excellent used car, thanks to its well-appointed cabin, available all-wheel drive, and dependable powertrain. Here at North American Auto Group, you can find a late model Audi A4 sedan near Geismar, St. Amant, Burnside, Prairieville, La Place, and Walker, LA for thousands less than the new price. We have multiple used car dealership locations in Baton Rouge and Gonzales, LA, meaning that there is a good chance that we have your next pre-owned luxury sedan on one of our lots right now! We carry a vast selection of low mileage luxury vehicles from automakers like Audi, at prices that are tough to match. Find a sleek used Audi A4 in Baton Rouge or Gonzales, LA at North American Auto Group today! The pre-owned Audi A4 sedans here at North American Auto Group prove that driving a small sedan can be downright luxurious! Expect to find beautiful leather-upholstered seating and a large display screen inside, and robust power when you step on the gas. Audi’s well laid out cabins with intuitive controls can be experienced in an affordable used A4, with many of the same high-tech gadgets and creature comforts of high-end Audi models. When it comes to power, efficiency, and control, Audi has got you covered with its sporty and agile A4. We regularly stock used A4 sedans here at North American Auto Group, ranging from base model front-wheel drive (FWD) A4 sedans to fully equipped models with Audi’s popular QUATTRO all-wheel drive (AWD) system — and every version in between. For the top fuel economy figures of the A4 lineup, search our inventory for a FWD model with the standard, base engine. For a most spirited driving experience with the control and confidence of AWD, check out one of premium A4 sedans equipped with QUATTRO and a more potent engine. No matter what used A4 model you choose from our selection, expect to find superb driving dynamics and a dependable powertrain. Perhaps you have a specific Audi A4 model year, trim, or color in mind? If we don’t currently have one just like it in stock, then be sure to utilize our Car Finder form; simply let us know the specific details about the vehicle you are after, and our sales team will do our best to locate one for you. Feel free to browse our complete inventory of quality used cars, including our used car specials, to find a vehicle that may be perfect for your budget and lifestyle, that you hadn’t yet considered. Have you already found a quality used Audi A4 or other pre-owned vehicle among our online inventory that you would like to call your own? Even if you are still shopping, you can get pre-approved for your used car loan while on our website, and value your trade-in vehicle, too. Next, is the fun part: the test drive! Come and see the sales team at North American Auto Group today; we’ll get you into a quality used Audi A4 or other pre-owned vehicle at a low price! Our multiple used car dealerships are just minutes from anywhere in Gonzales, Baton Rouge, Denham Springs, Prairieville, Dutchtown, La Place, Central, and Walker, LA.